LOSE WEIGHT and get your body in perfect shape in a very short time with elaborate training plans offered by the app! You can choose suitable training programs to match your fitness level and running experience in order to achieve great results comfortably. Your personal coach will motivate you and help you achieve your goals in no time. Detailed training schedule coupled with numerous articles on healthy living will help maintain a healthy lifestyle. 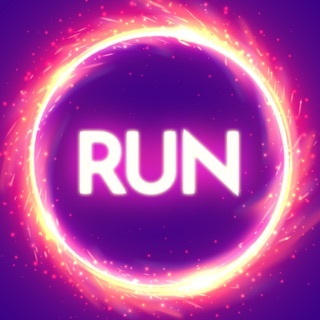 You can run with this app even if you are completely new to running, it is never too late to get started! Please note that you must always consult with a doctor before committing to any kind of fitness training program. The app is being developed solely for informational purposes. Background GPS usage may decrease battery life. We would greatly appreciate if you would take a minute to leave a review on the App Store! I really enjoy this app! I love that it reminds me to grab a bottle of water every so often. and the in app coaching is great! 2. It would be nice if the app was Apple Watch compatible so you didn’t have to bring your phone along on the run. Overall, I do like the app and I use it practically every day because I wasn’t a runner but now I am because the app has helped me build my endurance but those little quirks are what stops me from rating it 5 stars! I would give this at least 3 stars if it would STOP INTERRUPTING MY MUSIC! I have everything turned off except for notifications (because you need those to know when to change)! Every time the person spoke, my music would stop! I’d have to stop running, pull my phone out of the sleeve, open music, hit play, close music, open this app again, struggle to get my phone back in, then run again. It SUCKED! Nice app but it needs to run when the screen on the phone is locked. I’ve used this app one time and I’m already totally over having to leave my phone screen on while I run.